I love to think I’m crafty, but I’m really not. For one, I am super cheap! Second, I walk around the craft store and I change my mind about a project twenty times and get frustrated. I wanted a new wreath for the front door and I’m always shocked at how expensive they are to buy, so I headed to the local craft store to get the materials to make my own, inexpensive one. 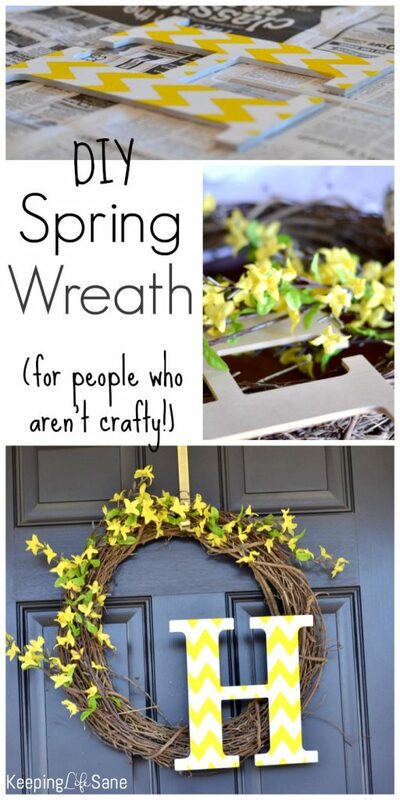 I’m attempting a DIY spring wreath! I live in North Carolina and it’s the warmest I’ve ever remembered it being in February. Everyone has spring fever. When I go on my walks around the neighborhood I’m always looking at how people decorate their houses, so I went having a few ideas in my head. I went straight to the wooden initials. I live in the south and they’re very popular around here. They’re also inexpensive. I picked a medium size that would fit perfectly with a wreath for the front door. I located the wreath forms and went with the branch style. I’m not even sure what the proper name for this is! They have a lot of different sizes and are inexpensive. 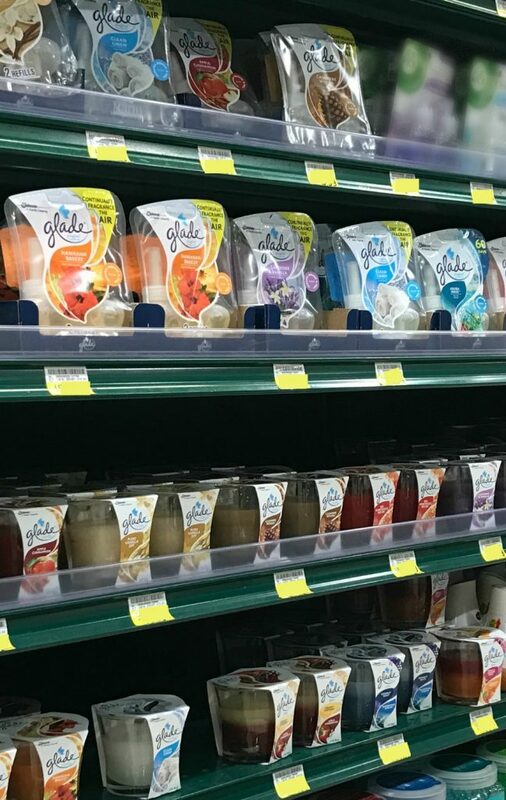 Last, I headed to the flower section and spent most of my time there. I have a dark blue door and wanted something that would stand out against it, so chose bright yellow flowers that were a little fuller and would show up from the street well. Ok- on to the wreath making. flowers- Depending on the size and style of flower you get will determine the amount you purchase. I bought 2. 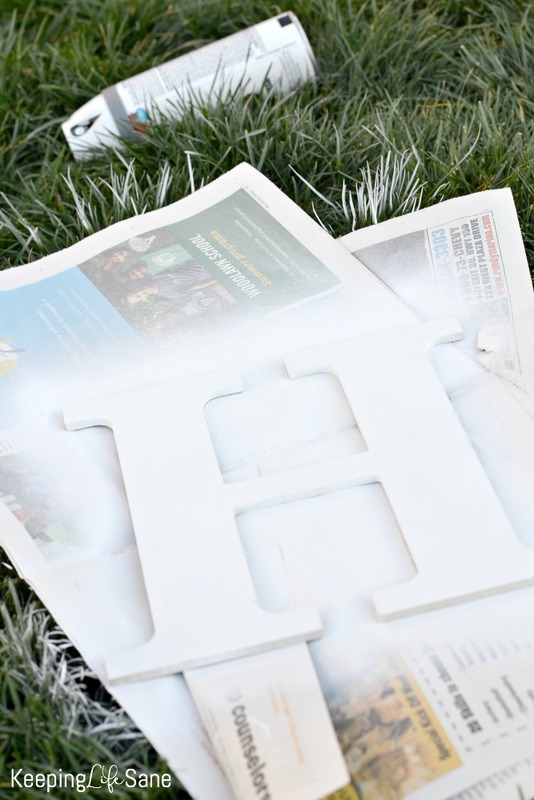 Step 1– I spray painted my initial white with spray paint I had in my garage. 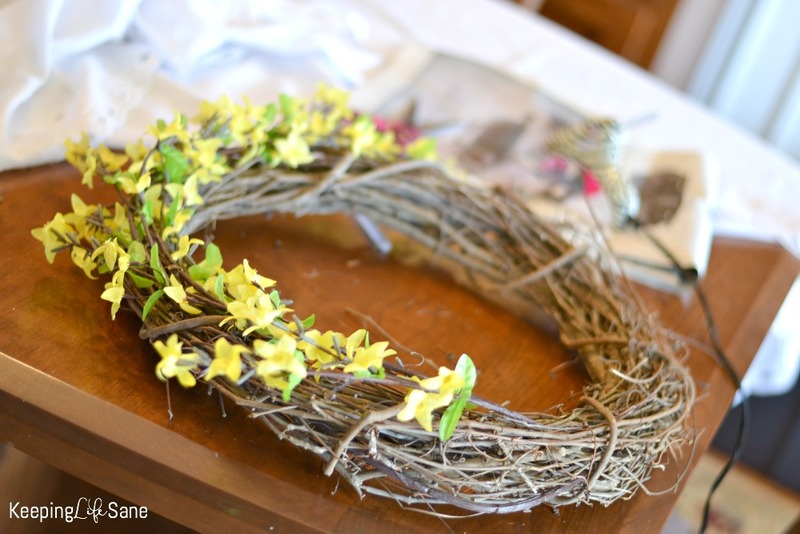 Step 2– While that was drying I headed inside to work on the wreath. I warmed up my glue gun and got out my 2 flower stems I purchased. The stems are almost the exact color of the wreath so I just weaved it to secure it. I only hot glued 3 stems down to get them how I liked it. Depending on what kind of flowers you get you may need a little more glue. See, you can’t even see the stems from the flowers. It matches great! Step 3– I brought in the initial and I felt something was missing. It was a little plain, I I jazzed it up with putting a chevron pattern on it. I had the stencil from a previous project but ran out to get a little bottle of yellow paint. 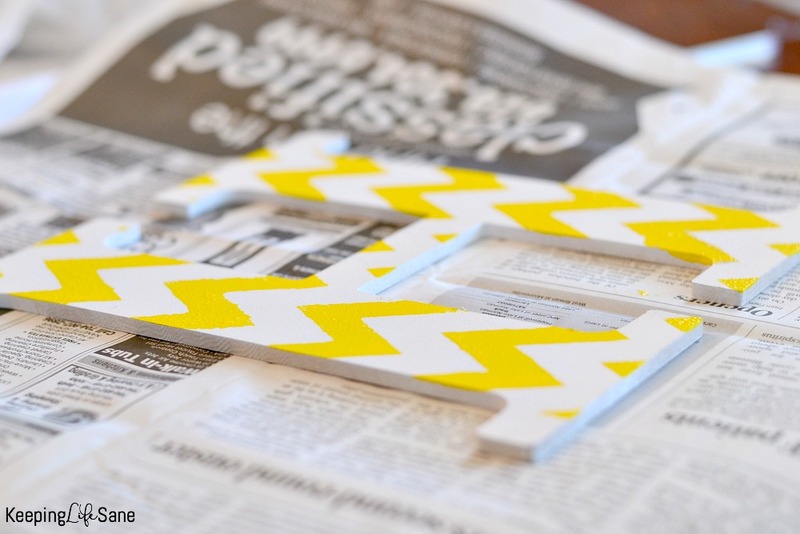 If you don’t have a stencil you can tape off the chevron pattern using painter’s tape or do a pattern freehand (stripes, circles, or swirls). My son stopped by and did most of my painting for me. 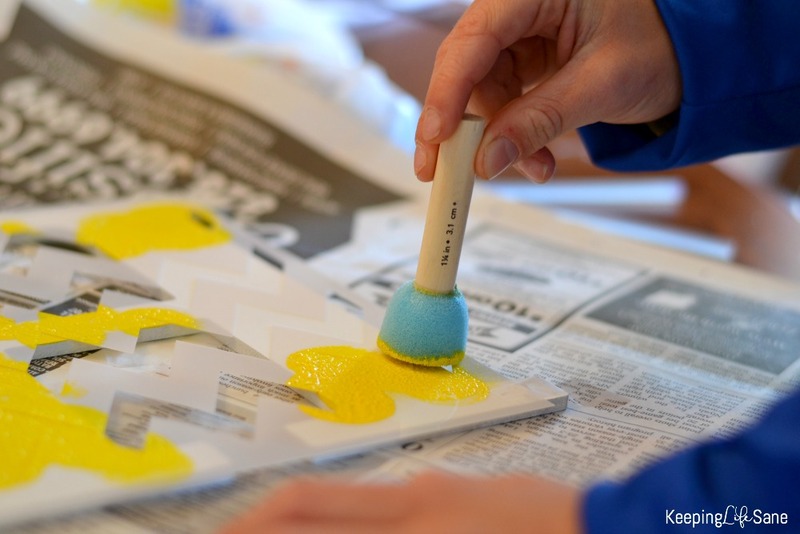 Step 4– After the paint dries, add the initial. I just placed it where I wanted it and started hot gluing. 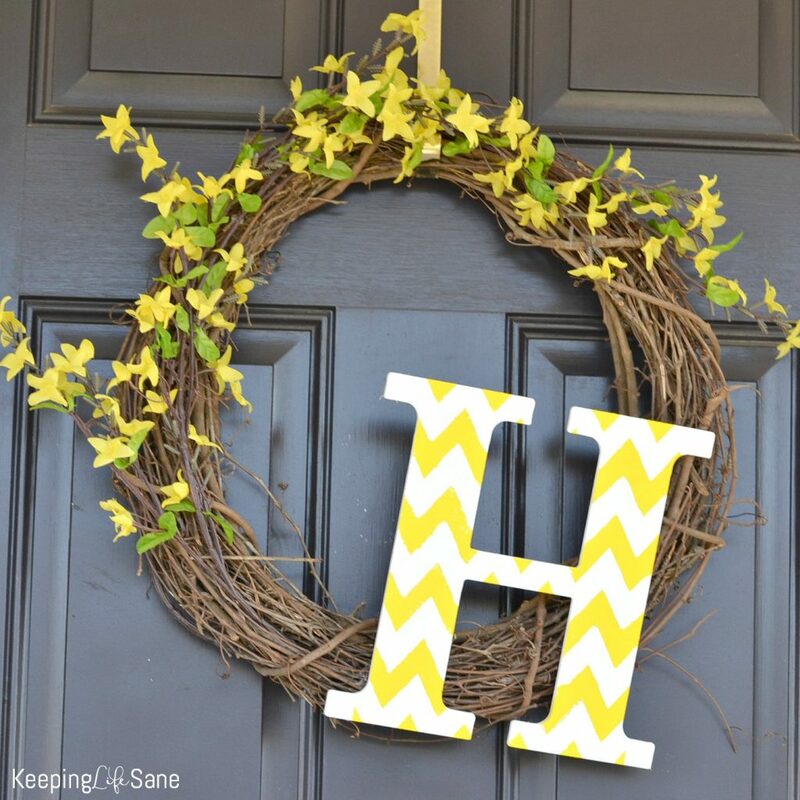 Hold it down a few seconds for the glue and initial to bond well with the wreath. I used 1 glue stick for the whole project. 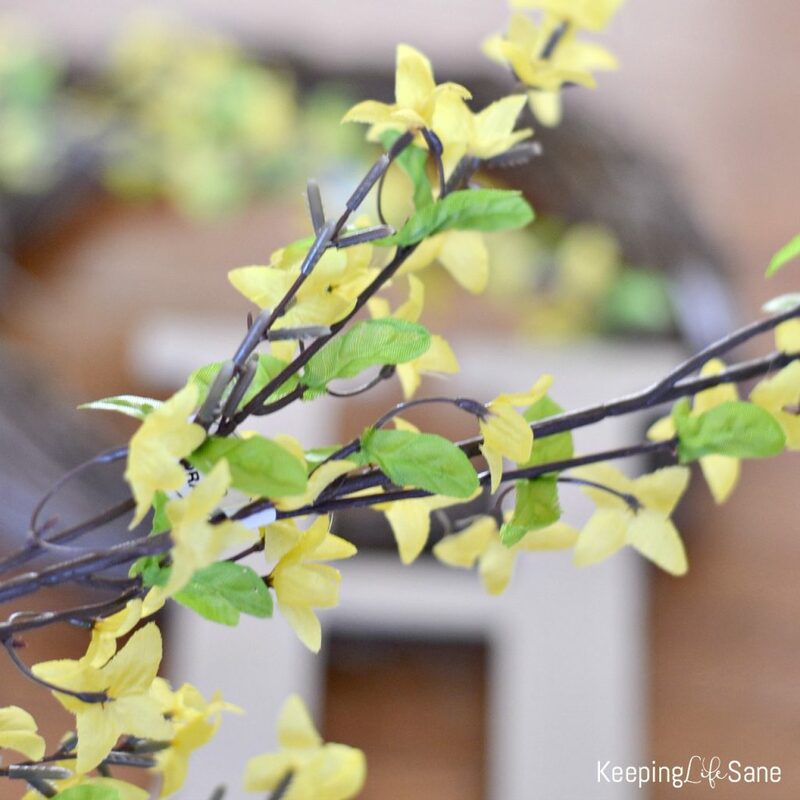 Have fun making your DIY spring wreath and go out and grab a candle to get you in the mood. 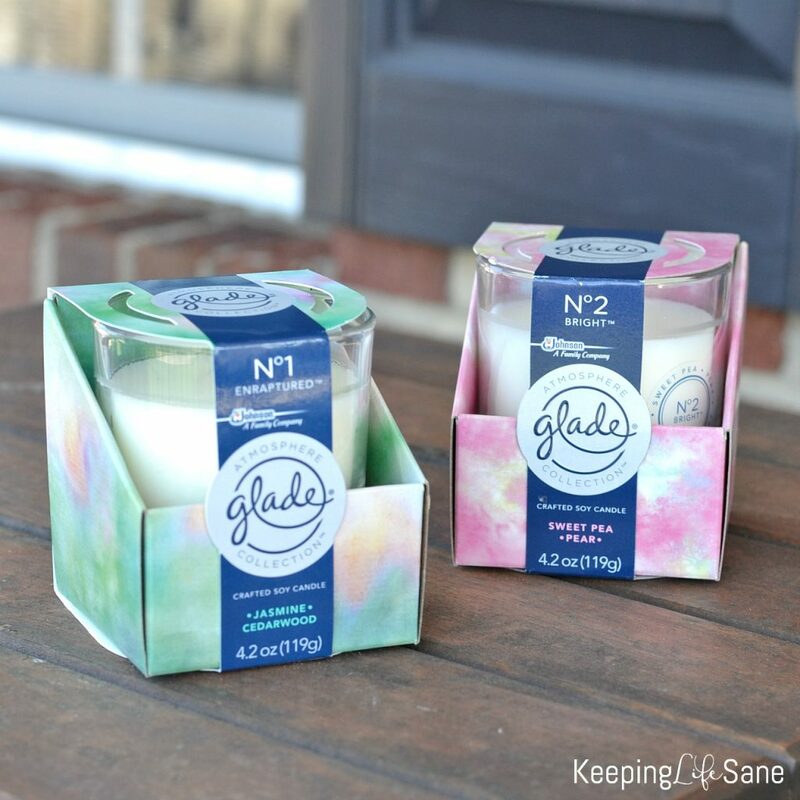 You can follow Glade® on social media to see what they’re up to and learn about all the scents they have to offer. They are everywhere- Facebook, Pinterest, Instagram, YouTube, and Twitter! I love this and how easy it is. I am so not crafty either but this looks totally doable. So pretty!